Compromised and wedded on the same day, Lady Miranda was fast finding married life not to her taste. A decaying manor and a secretive husband were hardly the stuff of girlish dreams. Yet every time she looked at dark, brooding Marcus Radwell, Duke of Haughleigh, she felt inexplicably compelled—and determined—to make their marriage real! 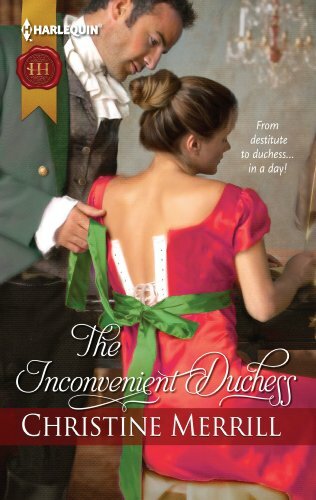 The inconvenient Duchess won the RWA 2005 Golden Hart in the Short Historical category.